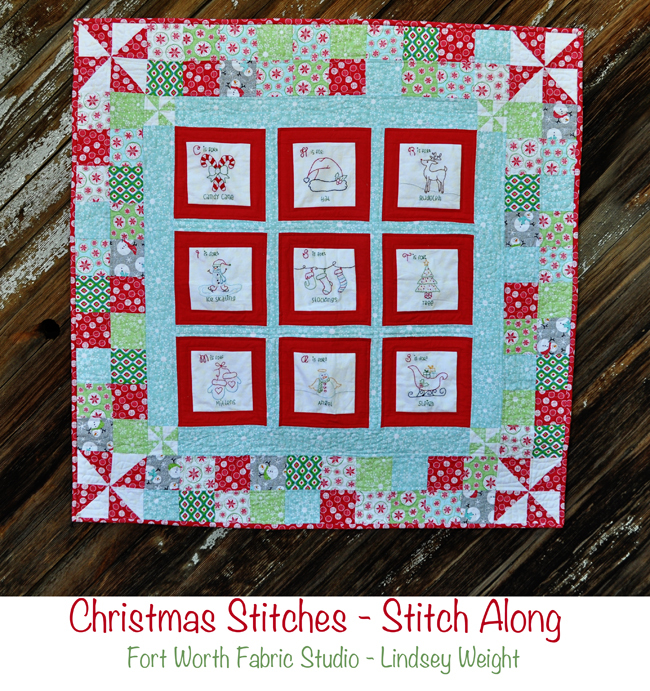 Fort Worth Fabric Studio: Christmas Stitches Last Block and Borders! Christmas Stitches Last Block and Borders! Hi there! I hope you all enjoyed your weekend! Today I am sharing the final block and the borders! We still have some kits available, and it's not too late to start! :) Click HERE to purchase a kit! 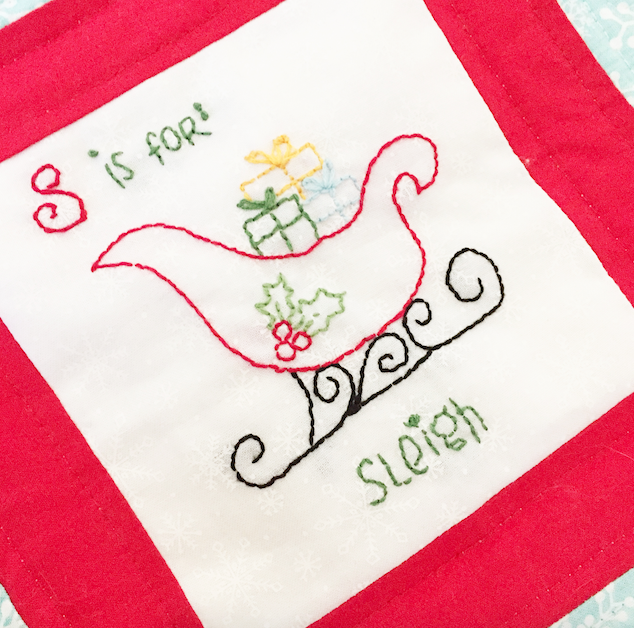 The pattern today includes the instructions for the letter S and the borders! Click HERE to download final PDF! Just wanted to thank you for sharing the embroidery patterns for this cute wall hanging. It is much appreciated! Thank you for this fun sew-along!